Finally, it’s time to bid farewell to the gloomy months of Winter. Looking all around us, we find hints of new life emerging from the earth awakening from its dreary slumber. As it makes its perennial appearance, the incomparable beauty of Spring beckons us to behold the expressive symbols of grace, mercy and love. You are invited to take pause each day to consider the Words of our Beloved. Encouragement and strength to carry you through each day awaits as you linger in the fragrance of His presence—the fragrance of Spring. It is easy to see how the Master Creator uses Spring to remind us of revival, rebirth and restoration. It is these virtues we celebrate in Seasons of Refreshing—Spring. Seasons are a gift from God through which we see His handiwork and His life-sustaining power at work around us and within us. Seasons of Refreshing is a daily devotional for each calendar season. Acts 3:19 states these unique “seasons of refreshing may come from the presence of the Lord.” Beginning the day with focused attendance on God’s Word brings refreshing as we tarry for a few quiet moments in His presence. There’s no better way to revitalize our daily commitment to live in a way that pleases our Father. Exercising the discipline of daily personal devotion and attention to God’s Word magnifies His infinite greatness as we reflect on the measure of grace bestowed upon those whom He unreservedly loves. Nothing is quite as beautiful as freshly fallen snow. The frigid temperatures accentuate the shimmering blanket as the sun reflects off individual flakes as uniquely fashioned as each new day. The shortened days of winter give the earth a rest from its labor, allowing it to resupply its store of nutrients to support the next growing season. Without the rain and snow, there is no seed for the sower and no bread to the eater. Seasons of Refreshing gives us a daily opportunity to pause and consider the greatness of our God, even while the world around us hibernates. Without winter, springtime could not produce the unparalleled beauty of new blossoms, which eventually lead to hearty harvests. Nearly two decades ago I began writing devotions and sharing them with friends. It wasn’t long until daily readership was in the thousands—and readers bemoaned one missed day of Today’s Devotion. Seasons of Refreshing – Winter is a compilation of the very best of those daily devotions. While each season is unique, so is each season of life with which God has blessed us. Seasons are a gift from God through which we see His handiwork and His life-sustaining power at work around us and within us. Jan Ross and her husband, Ron, have six adult children and a quiver overflowing with incredible grandchildren (Psalm 127:4–5a). In an answer to God’s call, Jan ministers to women’s groups and organizations; notwithstanding, she’s traveled across the country to minister to one person in need. Jan is the president and co-founder of Heart of God International Ministries, which allows her the incredible opportunity to travel as a missionary, sharing the message of Jesus Christ in remote tribal villages where the name of Jesus had never before been heard. She’s a published author, public speaker and Bible teacher. Jan’s passion to encourage and build up the Body of Christ is obvious as she uses her life experiences as a wife, mother, grandmother, missionary and adoptee to touch the hearts of ordinary people with the love, acceptance and approval of an extraordinary God. 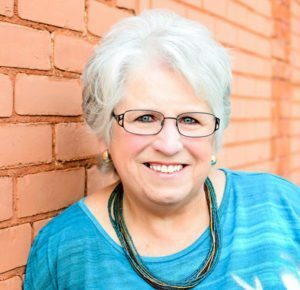 Along with her relentless passion for the Word of God and service to His Kingdom, Jan is the author of daily devotionals (including the ones contained in this book), co-author of Women of Passions, as well as other published and unpublished works. Jan also serves as a speaker to prospective adoptive families to older and other hard to place children. Jan and Ron live in Northern Ohio in his childhood home. They are blessed with a deep godly heritage, which they have diligently worked to instill in their own children and grandchildren.